It’s human nature to take your family for granted, but once they die, you realize there were many things you don’t know about them. Don’t let the time get away from you. Your grandparents won’t be here forever. Here are things to find out before it is too late. Find out the full names, nicknames, places they lived, and dates of their birth, marriage, and death. These are the links to your ancestry, so don’t miss the chance to get this information. Too many people just know their own parents’ names and grandparents. Asking your grandparents for details about their own parents and grandparents takes you back four generations. This can be a huge help if you try to piece together your ancestry later. If you love your grandmother’s chicken and noodles and the way your grandfather slow-cooks beef brisket, ask now. Write the recipes down and try them out, then ask for clarification and tips if the results aren’t as good as theirs. Sometimes, it’s hard to get the same ingredients like farm-fresh eggs so your cooking effort may not taste just like your grandma’s. Do certain kinds of cancer show up again and again in the family? Maybe there’s a pattern of heart problems. Find out what caused the deaths of your great-grandparents. Such knowledge helps you take preventive steps and make lifestyle changes. If there is some topic that the family tiptoes around and never discusses, ask the grandparents. What really happened to Uncle Billy who disappeared? Why do two cousins never speak to each other? Why did the family leave the Old Country? What was it like during World War II? Find out details about their daily life as a child and how times have changed. Try to save these memories by writing them down or videotaping your grandparents. Get out the photo album and ask questions about the people in the pictures. Sometimes people complain that life is too rushed, too complicated, too expensive now. Contemplate what your life would be like 60 or 70 years ago. Think of the 1930s, 1940s. You were likely to be living in a rural area or a small town at that time. The children attended school in a one-room or two room school-house. There was an outhouse out back or if the area was very progressive, an indoor bathroom. Look at the clothes. The dresses might be made from printed feedsack material sewn on a Singer sewing machine. On wash day, a wringer washing machine made life easier than the previous generation’s washtub and scrub board. If you had young children, there were no disposable diapers or diaper services. Those stinky cloth diapers had to be washed too. Everything was hung out on the clothesline even in freezing weather. From our family album, a 1930s picture. 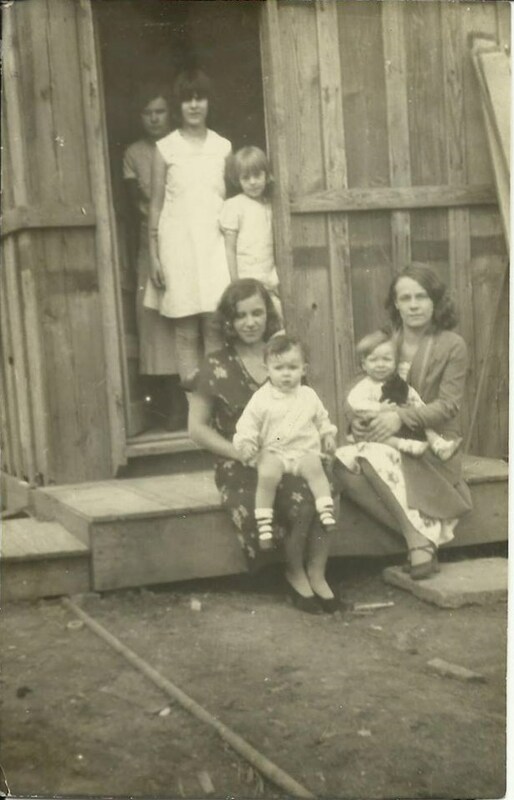 My mother is the littlest girl standing in the doorway. The others are her cousins. Most of your food was grown at home and preserved by canning. Putting a meal on the table might involve catching the chicken, wringing its neck and plucking the feathers before you cooked it. A wood stove in the living room heated the house. Cutting and stacking the wood in preparation for the winter was laborious. The stove didn’t heat the whole house very well, so in the morning frost coated the insides of the bedroom windows. Many of my mother’s stories of her childhood are lovingly nostalgic, but would she have wanted to go back to a time without modern conveniences? Would you? Tell me your feelings on this. As the generation that came of age during World War I passed away, my mother assumed the role of preserving the memories of her parents and her aunts and uncles. A number of her elderly relatives had no children to leave their photos, diaries, and special pieces to, so they handed them along to my mother. One of the family portraits that came into Mom’s keeping. The family treasures like Uncle Albert’s WWI diary and his military helmet were safe in her care. These were entrusted to her by Albert’s widow, Vina. Mom visited Vina in the nursing home and gathered tidbits of family history from her. On the wall of Mom’s writing room hung the whatnot shelf that Albert made. 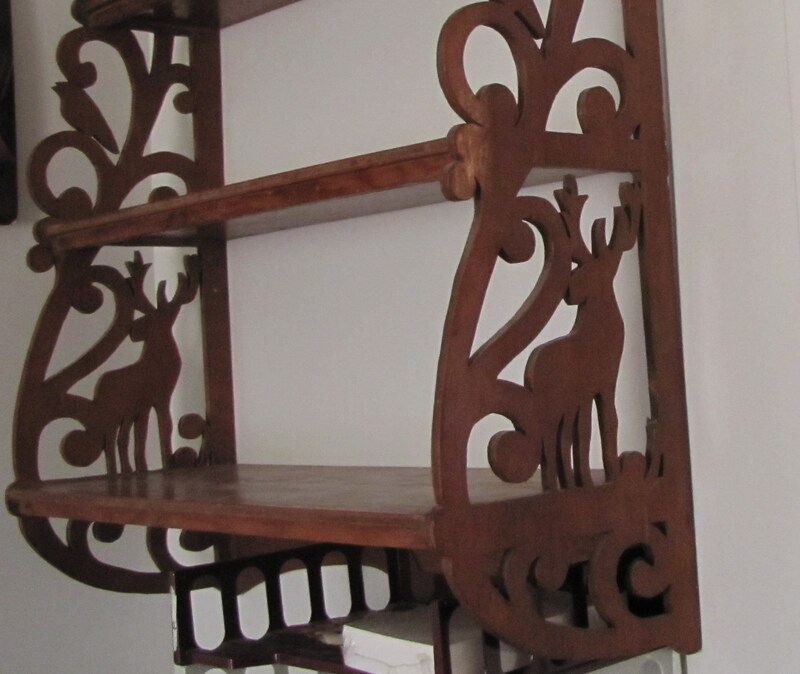 Here’s Albert Vining’s shelf that he made. 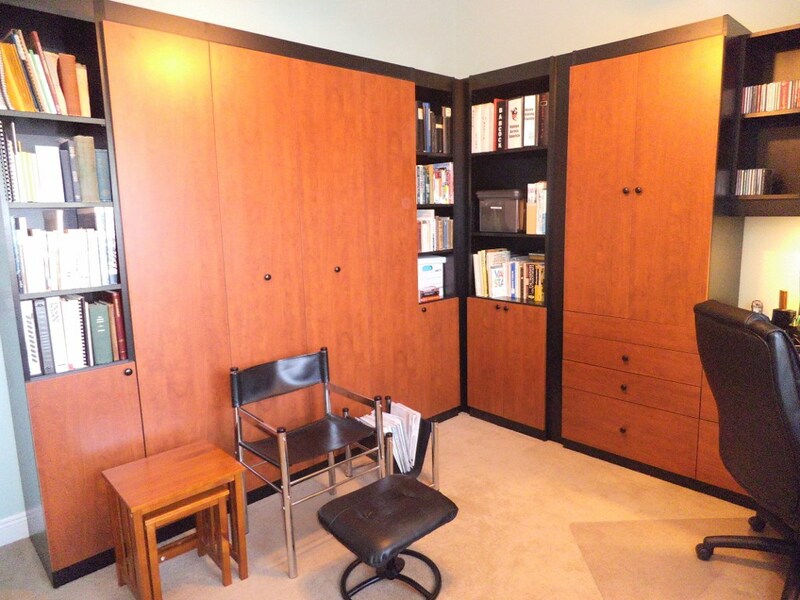 Mom used to keep books on it in her writing room. When her Aunt Bertha died, Mom preserved the photo album filled with vintage black-and-white pictures showing Bertha and the Navajo children in New Mexico where she worked in 1929 and 1930. Bertha McGhee’s photo from her time teaching in Farmington, New Mexico. Of course, no one person can save everything from previous generations, but my mother made a valiant effort to gather and write the stories from earlier generations of McGhees, Towers, Vinings, Martins, Joys and Kennedys. 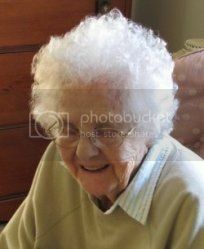 She served as the family historian or the archivist. 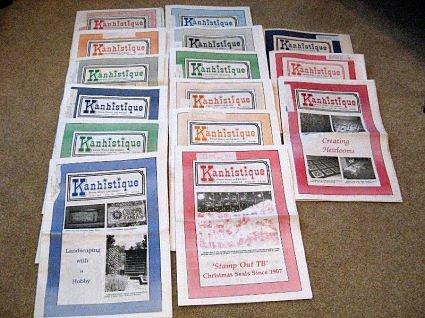 She published many of the stories in Kanhistique, but that magazine has ceased publication. These issues featured Gail Lee Martin’s articles. Now the photos, the letters, the diaries and her writings are in my keeping. I’ll do my best to maintain them and feature them for others to enjoy just like my mother did before me. 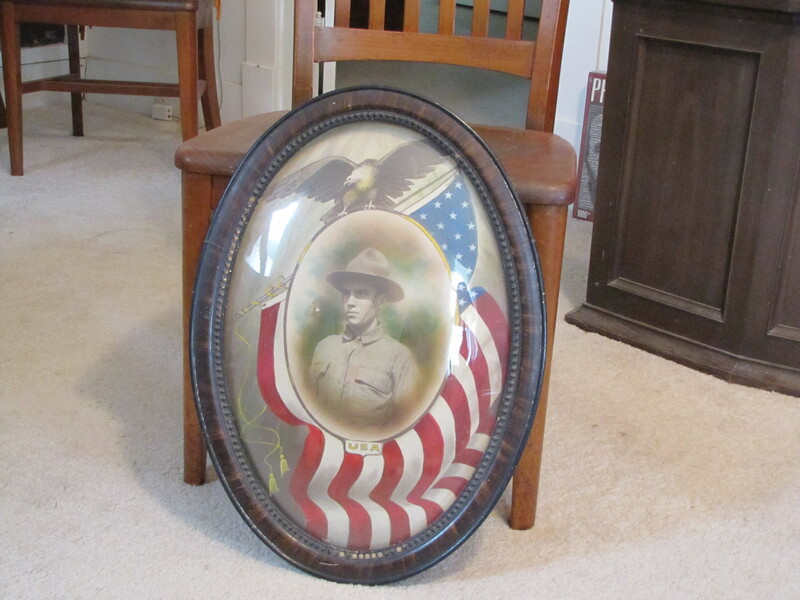 Here’s where I’ve showcased Albert Vining’s WWI experience: Albert Vining in WWI. The plan for Bertha McGhee’s photos, diary and letters is to make a book with those. We started this project together, but now I must carry it on solo. 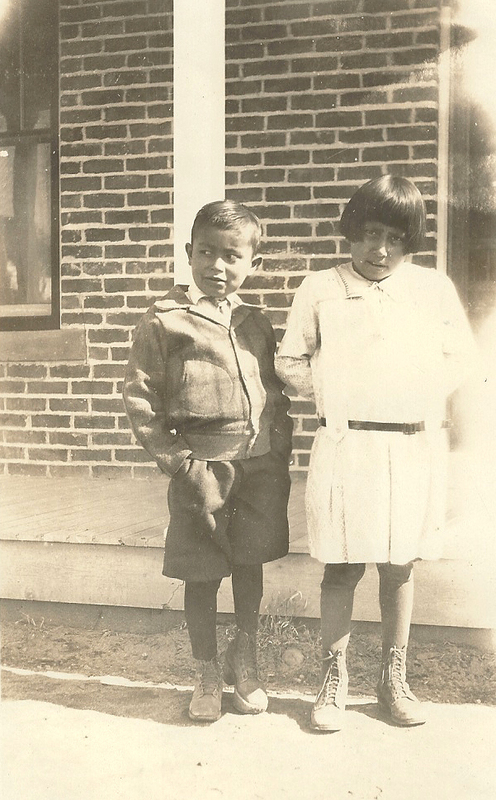 You can read more about Bertha McGhee here: Navajo School – Farmington NM 1929-1931 and Bertha McGhee – Missionary from Kansas. I inherited my mother’s genealogy and family history files and writings two years ago. I feel it is my mission now to get as much information and pictures online as possible for the next generation to access. These bits of paper are our ancestor’s legacy to preserve and share. So far, I’m taking a shotgun approach, spreading the material across a number of blogs, in Facebook groups, on my web pages created on Hubpages and even some on a site called Bubblews. The Bubblews postings were part of a 52 Ancestors challenge. I pledged to write one family history piece a week for a whole year. Sadly, I’ve fallen behind on that. The blogs are on WordPress and have titles like Then and Now and of course, here on Discovering Mom: Gail Lee Martin. My Facebook groups focus on specific family names and pull together my cousins to share family stories and photos. We’ve had some success getting unlabeled photos identified which pleases me greatly. I want to complete 3 family history books with the material too. Daunting task. To keep me moving along, I’ve joined an A to Z blogging challenge for April. That keeps me on my toes to post something new each day here matching the letter of the alphabet. I hope you’ll be right here reading the posts and cheering me on. You can subscribe to the blog if you want to get a notice for posts. The family archives on the shelves and in the cupboards. Safe for now.